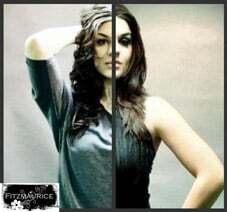 Identical twin sisters Sarah and Maria Fitzmaurice lead this up-and-coming alt-country group with their stunning vocals. At only 22 years old, the girls, with their bandmates, have already performed with the likes of Dierks Bentley, Darius Rucker, Trace Adkins, Brantley Gilbert, and Jerrod Niemann. This entry was posted in Things To Do by admin. Bookmark the permalink.